I thought that face looked vulturish. Great wings, though, Misty. Good shot! Love it, what an awesome shot Misty! You done good again!! 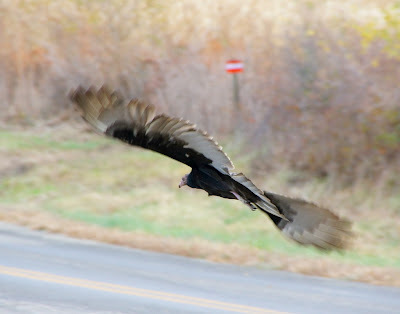 :) I think vultures are cool in a ghoulish kind of way, lol. Nice shot, Misty. Love how the wings show the speed of the passage. Well done! Cool photo. Love the wings in the shot!